Following on from her double sell out EP 'Honey, Milk and Blood' and the comic book single 'Our Names' we're delighted to be able to finally unveil the debut album from NZ based, but LA born Marina Sakimoto, otherwise known as Shunkan. 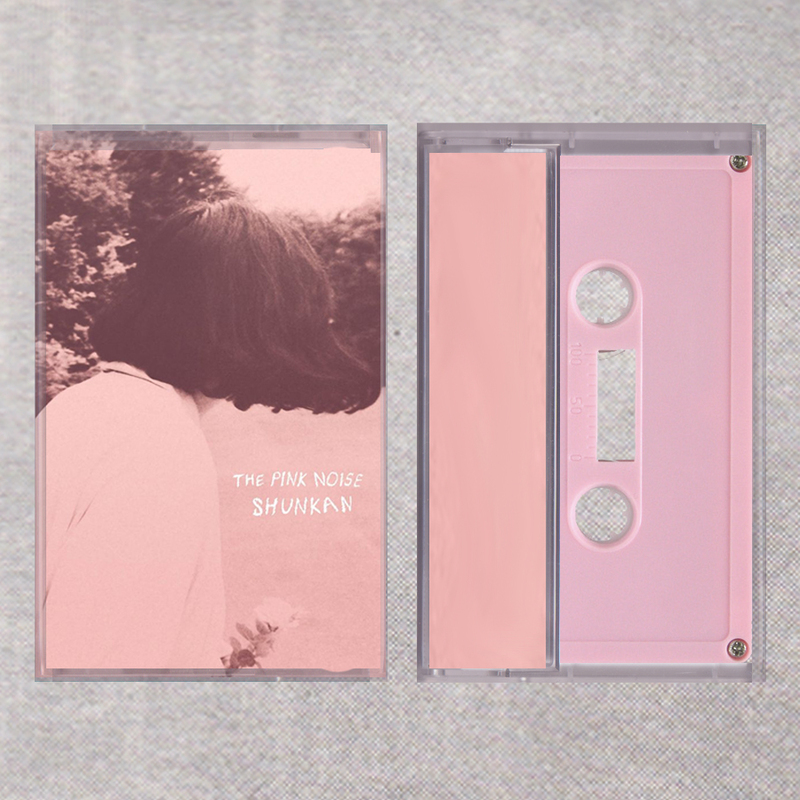 Whereas the EP recordings were shrouded in a cloud of lo-fi blissfulness, 'The Pink Noise' sees Marina filling out her sound with a full band. In doing so she has managed to avoid the pitfall of many bedroom-pop-prodigies and has managed to make sure the songs have not lost any of their heart or emotion. Instead it is placed directly in front of you, bared and bruised. Whether Marina is describing the feeling of big city lonelyness (Peter), learning how to grow up (The Pink Noise) or codependency (Here With Me) there is a consistent feeling of catharsis which runs throughout the album, although the subject matter might be objectively sad, the album certainly doesn' feel that way. We haven't even got onto the music yet, but the songs themselves are some of the most well-written, affecting and memorable we have released in five years of this little label business. There's Weezer'esque choruses, melodies to make Radiator Hospital proud and shoegaze interludes that might even cause Kevin Shields fathom a grin and we can't wait to share the rest of this amazing album with you. The album is due for release 20th November on pink 12", plus cassette (ltd to 100), CD and digital download. The first 50 pre-orders will receive a badge pack. The label will probably look slightly different to this!